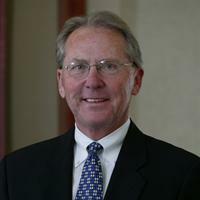 Curt Miller is chairman of the board of Katz, Sapper & Miller, LLP, and KSM Business Services, Inc. Curt joined Levy, Calderon & Katz in 1962 and was admitted as a partner to Irwin Katz & Company in 1966. The firm name was changed to Katz, Sapper & Miller in 1975, and Curt was elected managing partner in 1977. Under Curt’s leadership, the firm has grown to become the largest locally based CPA firm in Indianapolis. In his role as chairman, Curt focuses his efforts in the areas of practice development and client service. He offers experience in the areas of mergers and acquisitions, estate planning, cash management, financial forecasts and projections, tax planning, and business structuring. Curt has special expertise in trucking, manufacturing, construction and real estate. Curt received a Bachelor of Science degree in accounting from Butler University and attended Indiana University Law School. Curt is a member of the American Institute of Certified Public Accountants (AICPA), the Indiana CPA Society, and is a past vice chairman of Associated Accounting Firms International. He is also a past member of the AICPA’s Management of Accounting Practice Committee and the AICPA’s Assurance Services Executive Committee. Curt is currently on the board of visitors of Butler University’s Andre B. Lacy School of Business as well as the board of advisors of General Hotels Corporation, The Blakley Corporation and Major Tool & Machine. Additionally, he is vice chairman of spectator services for the 2016 BMW Championship at Crooked Stick Golf Club. He is a past member of the board of advisors for M&I Bank (Indiana Region), has been a three-time president of Crooked Stick Golf Club, treasurer and director of the President Benjamin Harrison Presidential Site, treasurer and director of the Family Support Center, director of Junior Achievement, director of St. Vincent Stress Center, director of Fairbanks Hospital, a member of the Corporate Community Council, a member of the board of trustees of Ivy Tech Community College (Indianapolis campus), and on the board of directors of the Pleasant Run Children’s Homes Foundation and the Indiana Chamber of Commerce.